Opening and closing pools in New Jersey has never been easier. Pool Butlers is here to serve all your pool maintenance needs so that you can spend your summer enjoying your pool and spend less time cleaning it. We will make sure your first splash is in crystal clear water and we will close it properly before the first autumn leaf touches down. We are reasonably priced and hassle free. Our reputation is well known and we love what we do. Contact us today for free quote. Pool Butlers LLC, will maintain any swimming pool in the state of New Jersey at an affordable rate that will save you all kinds of time and hassles. We do everything to keep your pool looking great all season long. We have been servicing residents of New Jersey for over 30 years and our clients feedback speaks for itself. Our parent company, Nicholas Pools, provides all the chemicals to us and guarantees our work, so you never have to worry about supplies or the quality of service you will receive. In fact, the only thing you will have to think about is how much food and drinks you will need at your next pool party! Dont ever see this again! Using only the finest industrial-strength pool chemicals and materials, Pool Butlers maintains your water clarity and sanitation while providing complete cleaning service for your pool. We remove all debris from your pool , brush where necessary and maintain your filtration system. We routinely eliminate phosphate and metal build up and inspect all pool systems and components to ensure proper operation. An added benefit of using our services is the preventative maintenance that you receive every time we show up. 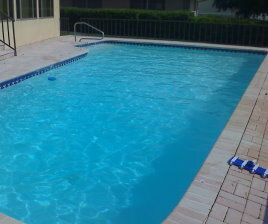 If there is the slightest thing wrong with your pool, we will find it and let you know the details. 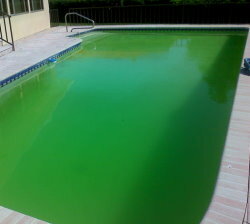 This can save hundreds of dollars and finding and resolving problems early is key to good pool maintenance. We are available all season long to assist you, so feel free to contact us anytime!